Dayton Tow Truck Insurance – Call Now! Looking for superior rates on Tow Truck Insurance in Dayton Ohio and the nearby areas? Then you’ve come to the right place. We are Pathway Insurance, a leading insurance agency in Ohio. As an independent agency we have the tools necessary to help our customers find appropriate and affordable coverage on Tow Truck Insurance in Ohio. You can call us today at 800-998-0662 to speak with one of our friendly and experienced agents. Dayton Ohio Tow Truck Insurance – Exclusions of Coverage. Tow Truck Insurance Dayton Ohio – Coverage Scenario. Shortly after filing the suit, however, Jeff received a phone call from the attorneys representing Walter’s insurance company informing Jeff that he simply has no grounds for a case. If he doesn’t drop the lawsuit, they say, then they threaten to petition the judge for a Declaratory Judgment. From what Jeff can gather, it sounds like a declaratory judgment could mean his lawsuit will be dead before it ever reaches court. The spouse, child, parent, brother or sister of that employee as a consequence of Paragraph 1. above. Crestfallen from the knowledge that his case has no grounds, Jeff ultimately drops the lawsuit. He is fired from his towing job and has to start liquidating all the fancy stuff he bought with the settlement money from the first lawsuit to come up with money for his wife’s medical bills. Dayton Tow Truck Insurance – Call Us Today! If Jeff had understood the language of his employer’s policy as it relates to him as an employee then he might have thought twice about arguing with his wife while on the job and saved them both from injury and financial loss. You can avoid these pitfalls by calling the agents at Pathway Insurance for answers to your questions about Dayton Tow Truck Insurance. Our number is 800-998-0662, and we’re available Monday through Friday 9:00 AM to 5:30 PM (EST). 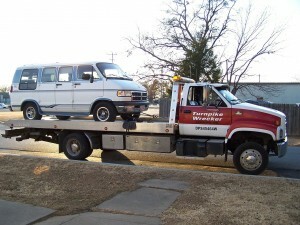 We can shop the market for you to find the best coverage options being offered on Tow Truck Insurance in Dayton Ohio. Tow Truck Insurance Columbus Ohio – Call Today! If you’re looking for Tow Truck Insurance in Columbus Ohio and the nearby areas then look no further than Pathway Insurance. As a leading independent agency in Ohio, Pathway Insurance has the experience and knowledge to help business owners like you find the coverage and rates they need on Tow Truck Insurance in Ohio. Call us today at 800-998-0662 to speak with one of our licensed professionals. We are here to answer any and all questions related to your insurance needs. Tow Truck Insurance Columbus Ohio – Exclusions of Coverage. In this week’s article we’re continuing the exclusions of coverage theme. To recap, exclusions of coverage are specific situations pointed out in the language of an insurance policy for which coverage would not be granted by the insurance company. As we’ve said before, the best advice we can give at Pathway Insurance when it comes to exclusions of coverage is to read your policy very carefully! 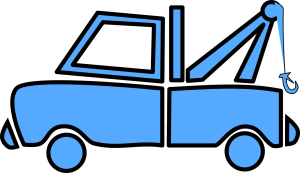 It is the most reliable way to fully understand what is and is not covered on your Ohio Tow Truck Insurance policy. Columbus Ohio Tow Truck Insurance – Coverage Scenario. You may recall that Jeff Johannson drives a tow truck for a towing company, and he’s known around town for having won a hefty sum of money from a lawsuit a few years back. When last we left Jeff, he and his wife had just been injured while Jeff was on the job. 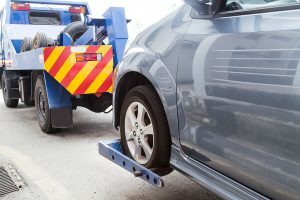 He was too busy arguing with his wife, whom he was giving a ride to the casino, to notice that he had improperly attached the hook of his tow truck to a customer’s car. The car came loose and rolled on top of the couple. With his arm broken and his wife in the emergency room, Jeff sees another opportunity to make easy money. Jeff thinks he can file a lawsuit against his employer, Walter and obtain a large 6 figure settlement. Jeff realizes he’ll quickly get fired by Walter but believes the big settlement will be worth it, plus he will be able to collect unemployment after getting the axe. Jeff writes up the lawsuit using big legal terms such as loss of consortium and untold pain and suffering to make his case. Jeff knows that his boss has $5 million of coverage and plenty of money in the bank and expects a quick and large settlement from Walter’s insurance company. Jeff prepares his lawsuit papers, and files them at the court house after paying his fee. Is Jeff getting ready to make his second big pay day? We will learn the answer in next week’s post to see what happens. Tow Truck Insurance Columbus Ohio – Call Us Today! It’s super important to understand how your coverage works when you purchase Tow Truck Insurance in Columbus Ohio and the nearby areas. If you have questions about insurance exclusions call the agents at Pathway Insurance today for answers to your questions about Tow Truck Insurance. Call 800-998-0662 Monday through Friday 9:00 AM to 5:30 PM (EST). 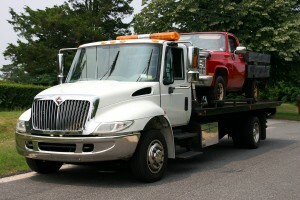 We will shop the market for you to find the best coverage options on Tow Truck Insurance in Columbus Ohio. Great Rates on Tow Truck Insurance Cincinnati Are One Call or Click Away! Looking to save money on your Tow Truck Insurance in Cincinnati, Northern Kentucky, or any of the surrounding areas? If so we can help. We have specialized programs for both new and existing companies for auto repair garages, car dealerships, and towing only operations. Even if you have been turned down by other companies we have markets available that other insurance brokers do not have access to. 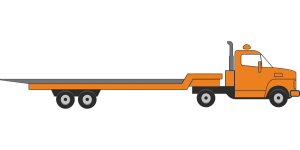 Pathway Insurance is a leading independent agency offering Tow Truck Insurance in Ohio, Kentucky, Indiana, Michigan, Tennessee, Minnesota, Georgia, and Florida by phone or online seven days per week. Click on Cincinnati Tow Truck Insurance to send us your request for quotes online 7 days per week. 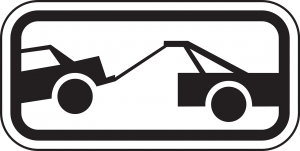 New Ohio Tow Truck Program May Save You Thousands! Truck insurance is expensive and this new program may save your company thousands per year for the exact same coverage. One policyholder saved over $100,000! Commercial Auto Insurance up to $1 Million. Coverage for Your Owned Buildings and Business Personal Property. What Qualifications Must You Meet for This New Ohio Tow Truck Insurance Program? 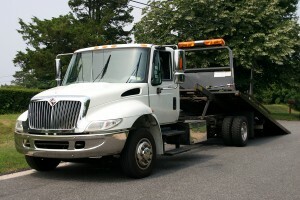 · Your company must be in business for at least three years with continuous Tow Truck Insurance Coverage. · Your trucks must be less than 15 years of age. · You must have an acceptable loss history. · Drivers with SR 22’s will not qualify. · Drivers less than 21 years of age are unacceptable. What If Your Company Does Not Meet These Qualifications? We have other insurance companies that can provide quotes to you for your Cincinnati Tow Truck Insurance needs. For instance if you are a brand-new company, or have had claims that lead to a company cancellation, or your drivers require SR 22’s we can find the coverage you need. Call Pathway Today When You Need Tow Truck Insurance in Cincinnati. Licensed agents are available seven days per week when you use our online system by clicking on Tow Truck Insurance Cincinnati Ohio. Or if you find us during normal business hours call 513-662-7000 to speak with one of our licensed agents. We are open from 9 AM to 5:30 PM Monday through Friday.